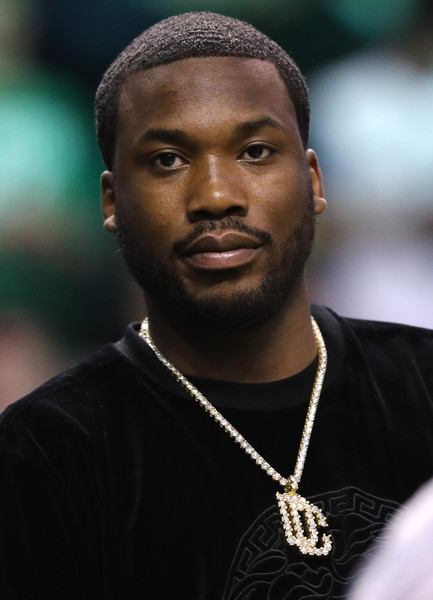 Meek Mill continues making press rounds since being released from prison two weeks ago as he seemingly becomes the poster child for criminal justice reform. Meek was ordered to serve a 2-4 year sentence after violating his parole in 2017. After serving six months, he was released thanks to the Pennsylvania Supreme Court ordering his release. After chatting with Dateline's Lester Holt, the MMG rapper sat down with Power 105's "The Breakfast Club" to speak to his fans about rumors and reports surrounding his release from jail. Since breaking up with Nicki Minaj, Meek hasn't said much about the Head Barb....until now. The Philly native said he wasn't feeling what Nicki said and felt she shouldn't have said anything at all. Some of Nicki's comments in the Beats 1 interview made people feel like she was on the judge's side. “Why would I make that up?” he asked. “It actually was somebody else there. They said they don’t want to involve they self in it." The "Dreams & Nightmares" rapper compared the judge to a "slave chaser" who was sent to bring him down. “A guy in jail was like, ‘That lady a slave chaser. You a dream chaser. You trying to run from the plantation. You made it far. You made it 30 miles out. They sent her to chase you down. Y’all could have both got away. She grabbed you and dragged you all the way back.’ That’s how I view it, for real, for real,” he added. The 31-year-old, who recently celebrated a birthday, opened up about his drug addiction and how he got hooked in the first place. He said he was able to get doctors to come to his house in Atlanta to flush his system out and to help him ween off the drugs. After his infamous rap war with Drake, Meek said he and Drizzy are cool now. Meek shared his thoughts on Kanye West and his controversial dealings with the President and Republicans. "When Kanye speaking, he's trying to deliver something...and you got to be informed. Even a lot of stuff he's speaking on is serious stuff. It's people locked behind them walls, they're basically scholars to this stuff and they've been in prison their whole lives. They're offended by this stuff. I even talked to him one day." He also said Kanye might want to think 10 times before actually speaking. WORD. As for the support, Meek said he was freaking out when Beyonce shouted him out on "Top Off." He said when he first heard it, he kept replaying it back because he was in shock. Take a listen to Meek's interview below where he also talked about squashing his beef with Beanie Siegel, answering the phone for jailed rapper Bobby Shmurda, how his relationship with 76ers owner Michael Rubin and Patriots owner Robert Kraft came about, his new Amazon series, new music and more. @meekmill is here.... @breakfastclubam... Tune in!!! Meek revealed Jay Z gave him money to help pay for his bills while he was locked away. 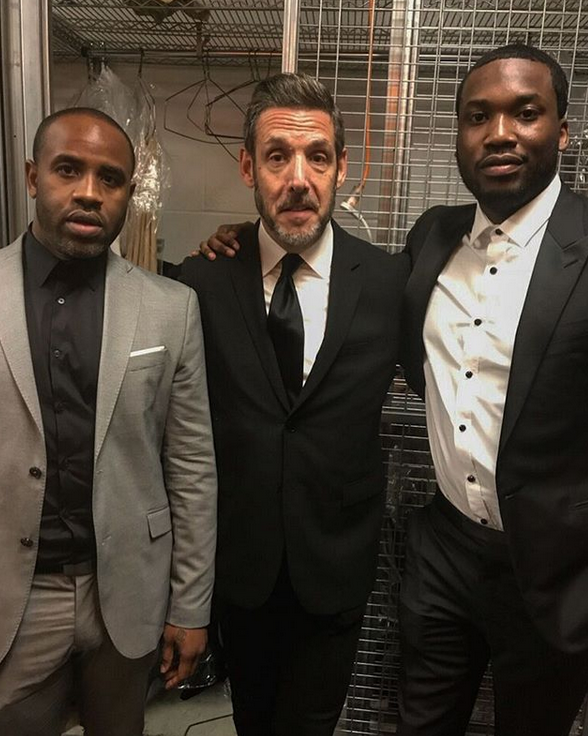 Apparently, Meek's lifestyle ran up a tab of $7 million while he was in jail and Hov ended up helping him out financially. Check it at the 18:15 minute mark above. In the interview he also talked about wanting to speak out in support of Colin Kaepernick but was fearful. He also breaks down the airport incident where he allegedly punched an airline worker, his real friendships with Mike Rubin and Robert Kraft and more. By the way, according to reports, Meek's name has been re-entered into the Philly prison system so that he can get his check He's not back in lock up physically. He had a little over $660 on his books from family and friends that a check is being rendered from. Label mates Meek Mill and Wale have squashed their beef since Meek's incarceration. Actually, they squashed when Meek was still behind bars. As you can see, they're still on good terms. Peep their push-up bromance that happened yesterday when Wale went to visit Meek at his NYC hotel.